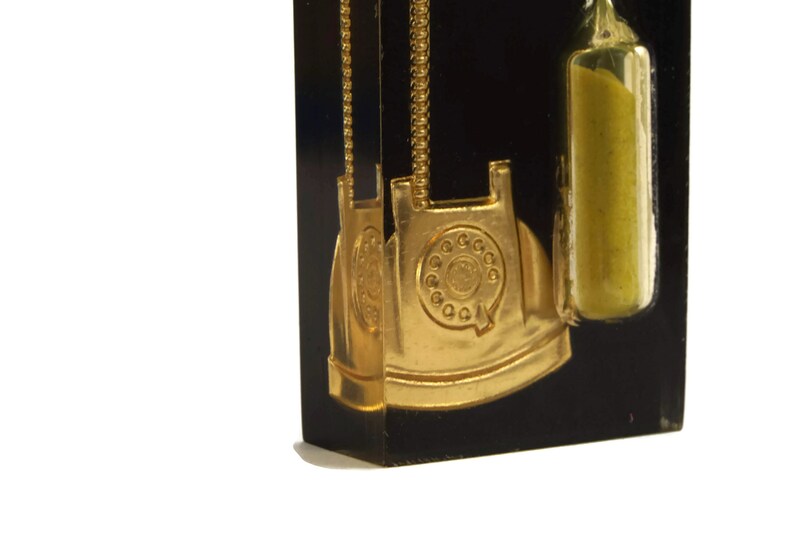 A vintage lucite rotary hourglass timer made in the 1970. 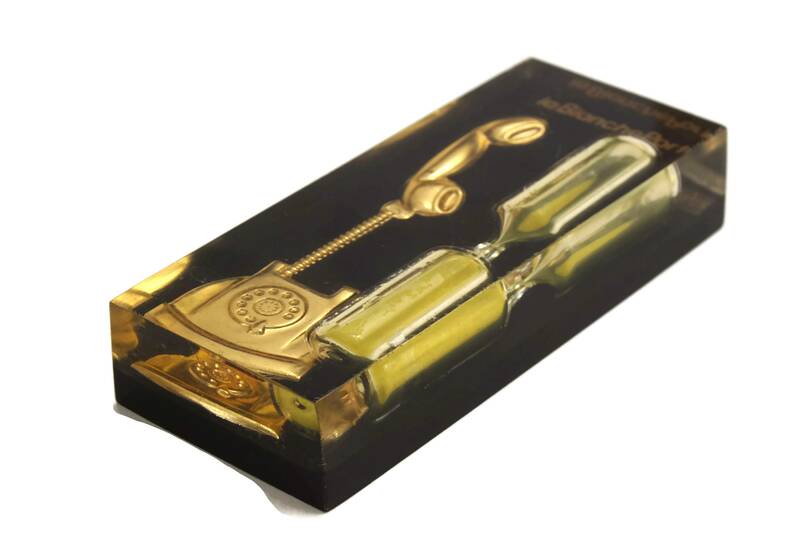 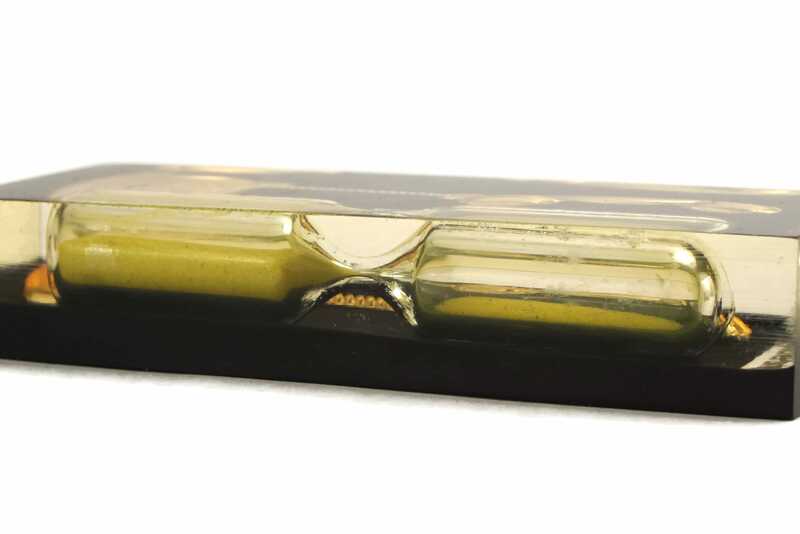 The timer contains yellow sand and has been encased in a solid block of clear and black resin. 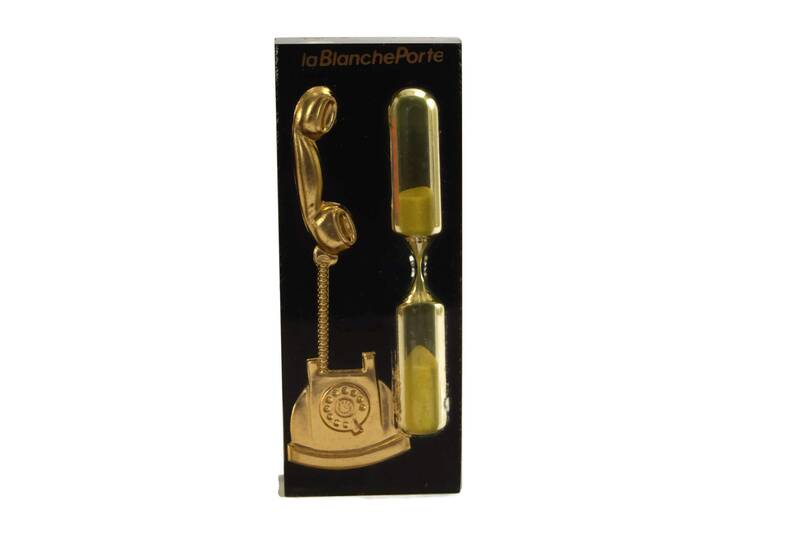 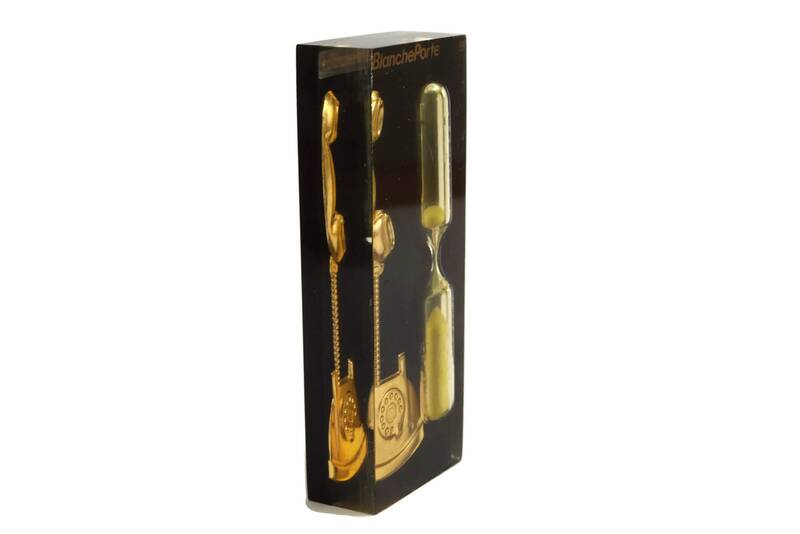 The sand timer has also been decorated with a gold tone period telephone suggesting that it was used to help keep telephone time to a set limit. 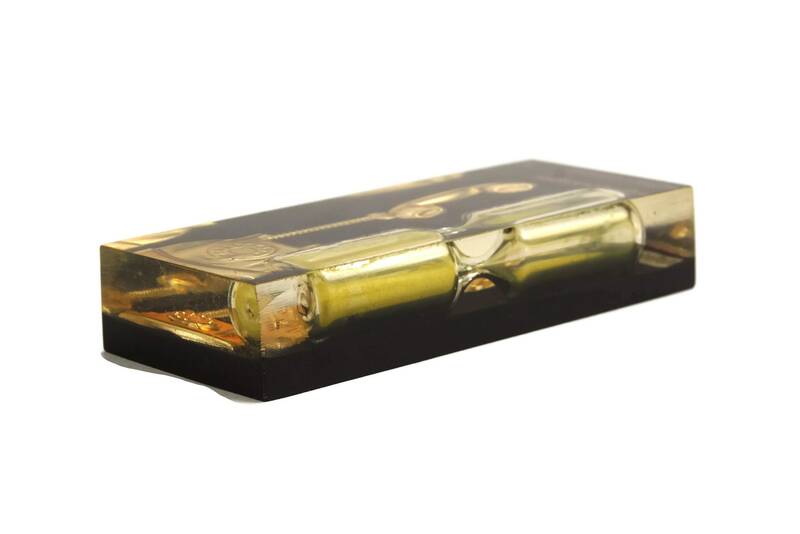 The resin inclusion paperweight runs for approximately 2 minutes 40" seconds. 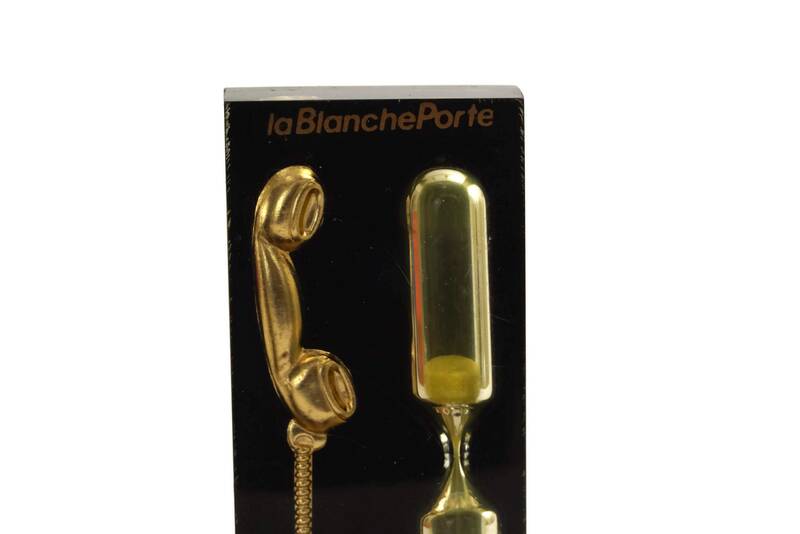 It was used as an advertising promotion for La Blanche Porte mail order catalogue company. 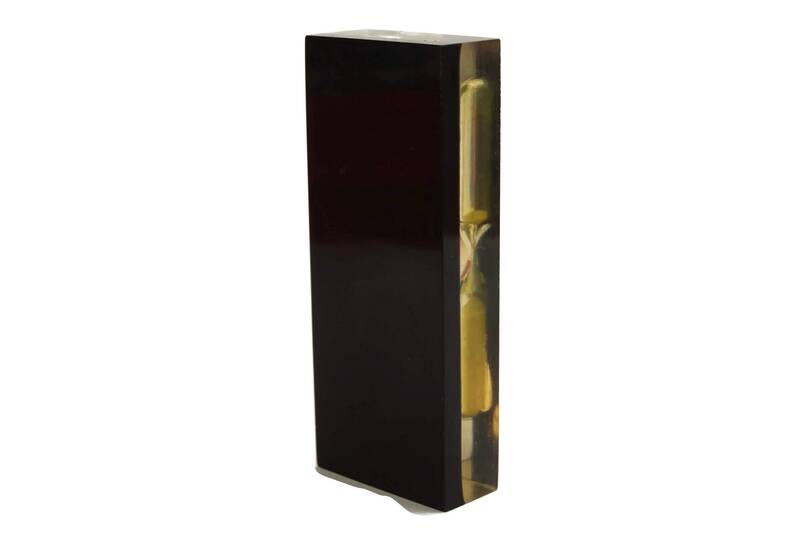 It will make a great vintage touch to your desk and office decor. 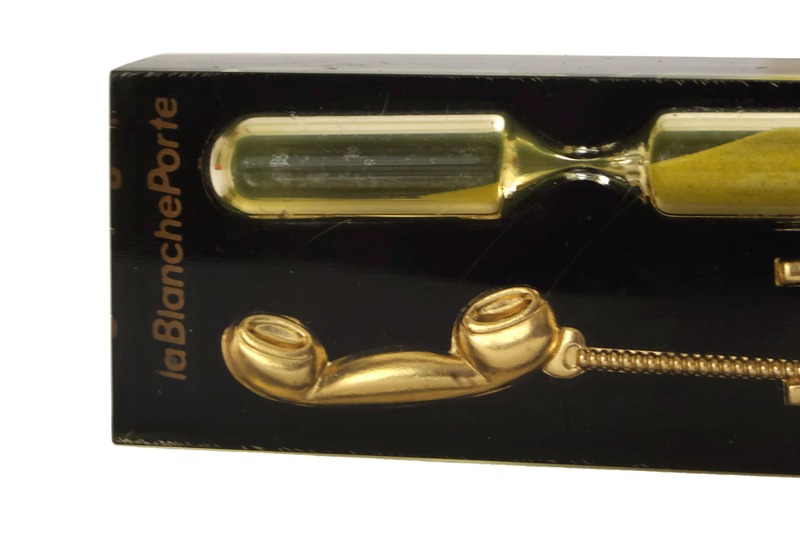 (8 cm x 3,2 cm x 1,4 cm). 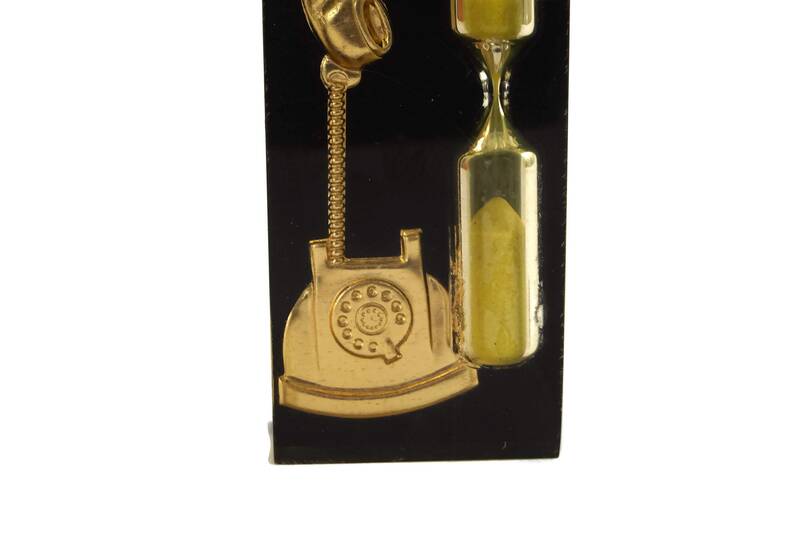 The timer is in good vintage condition with some minor surface scratches.